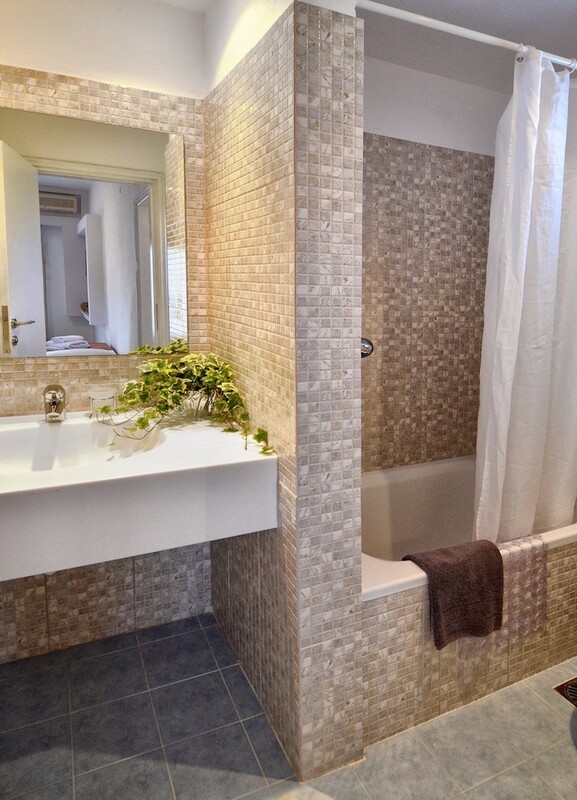 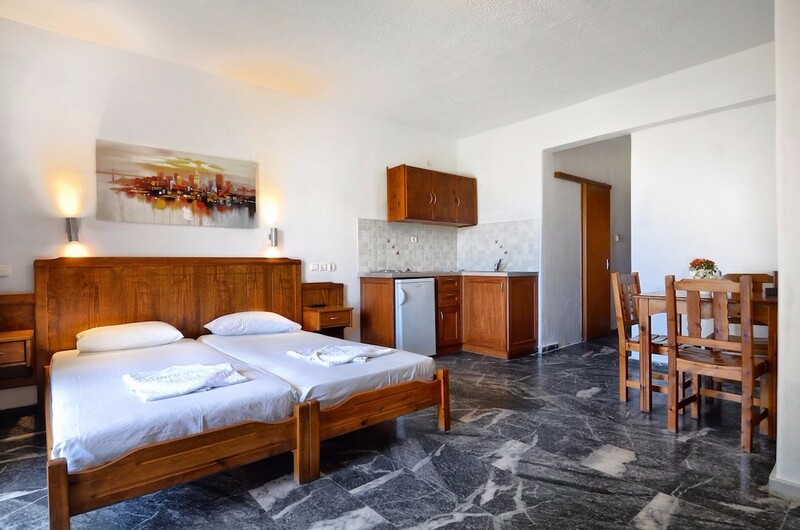 Two bedroom apartments (44 m2) can comfortably accommodate 4 guests. 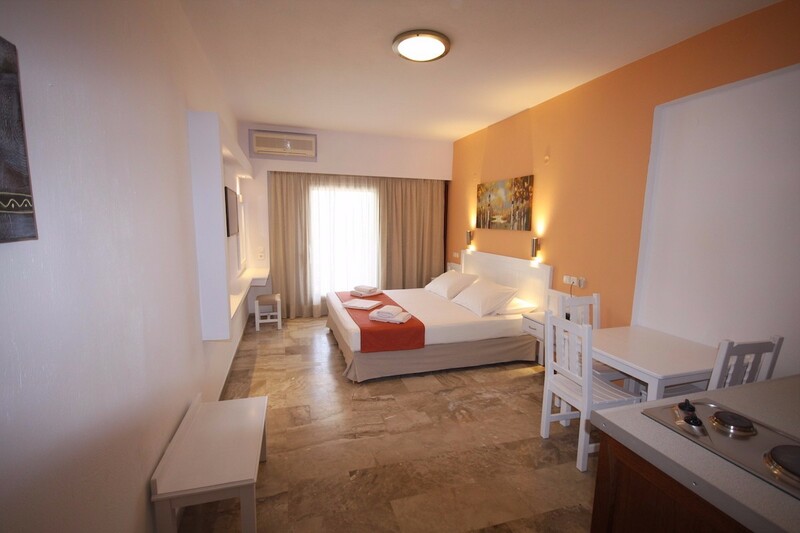 There is a bedroom with a double bed, one bedroom with two single beds, kitchen area, and a bathroom. 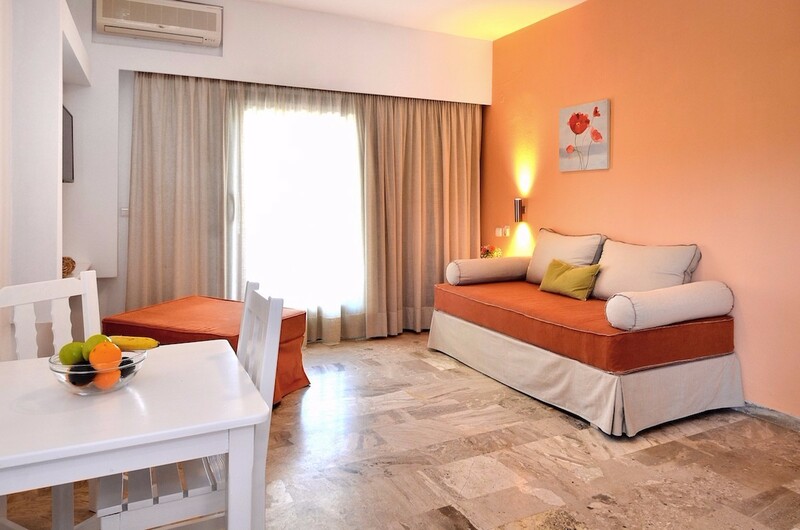 They have a large terrace overlooking the sea or the garden and the pool creating a relaxing environment. 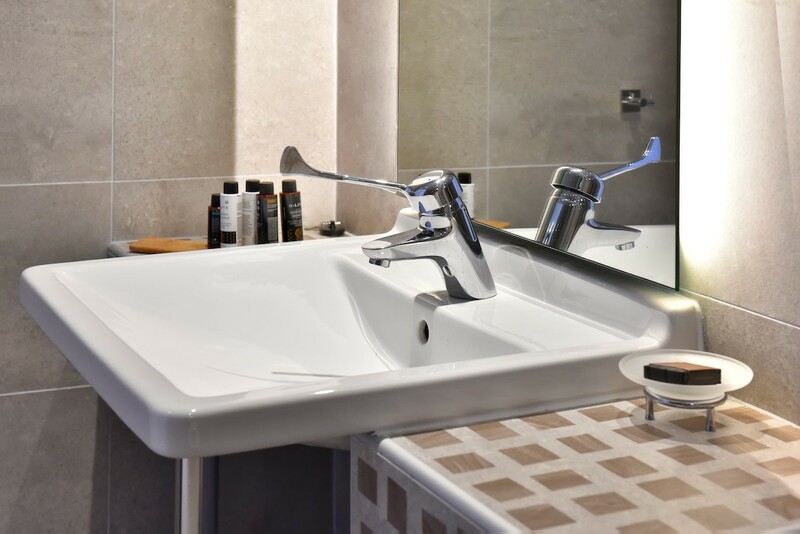 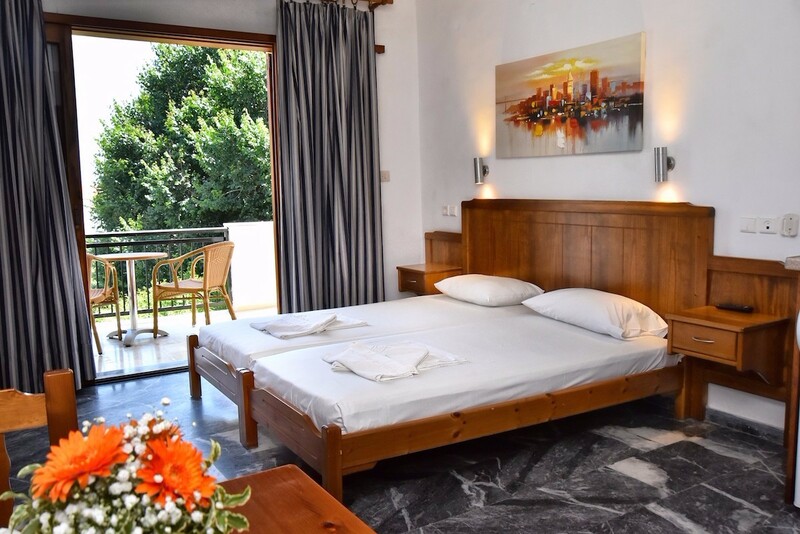 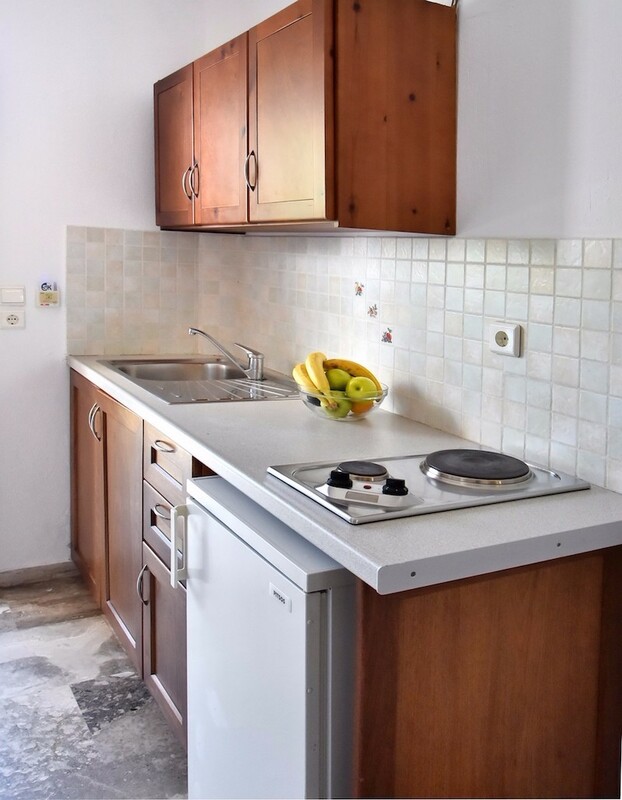 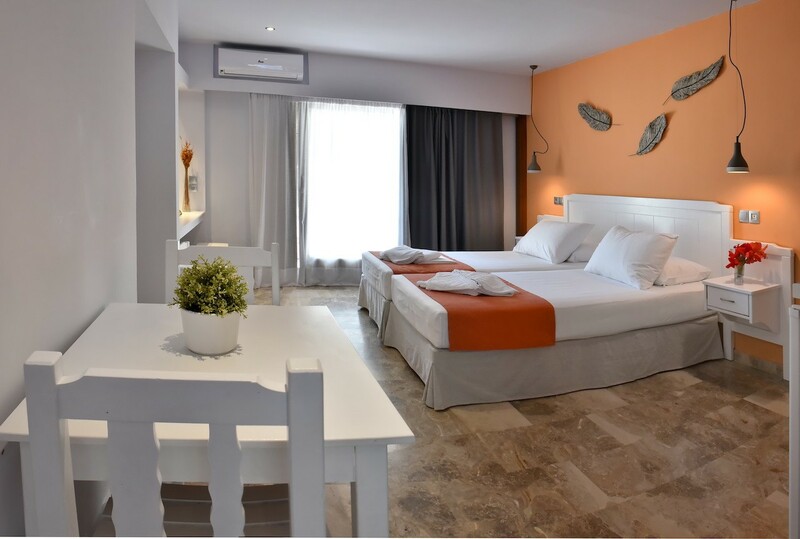 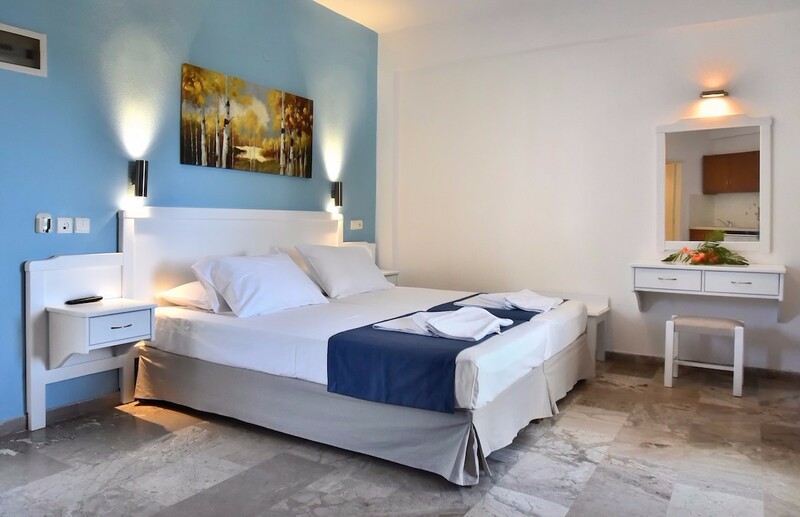 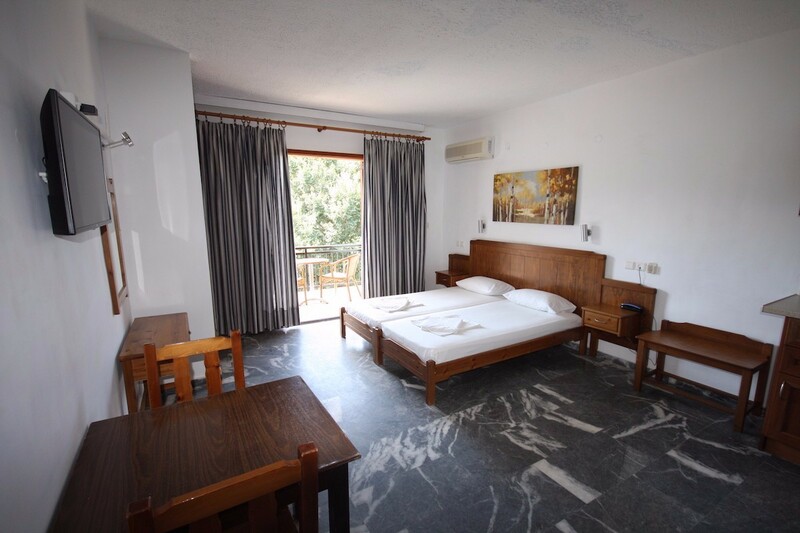 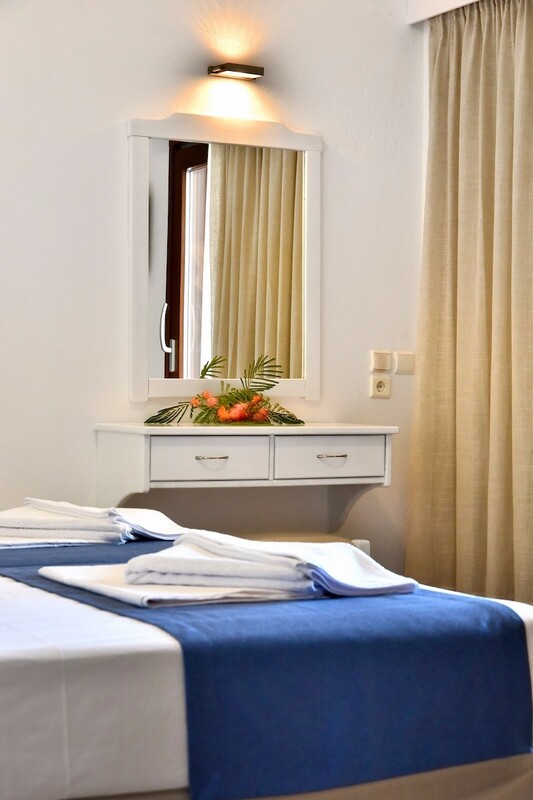 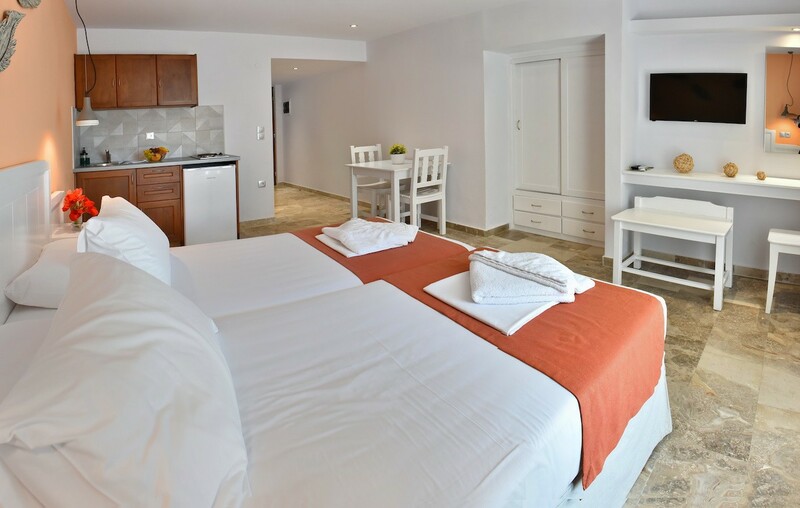 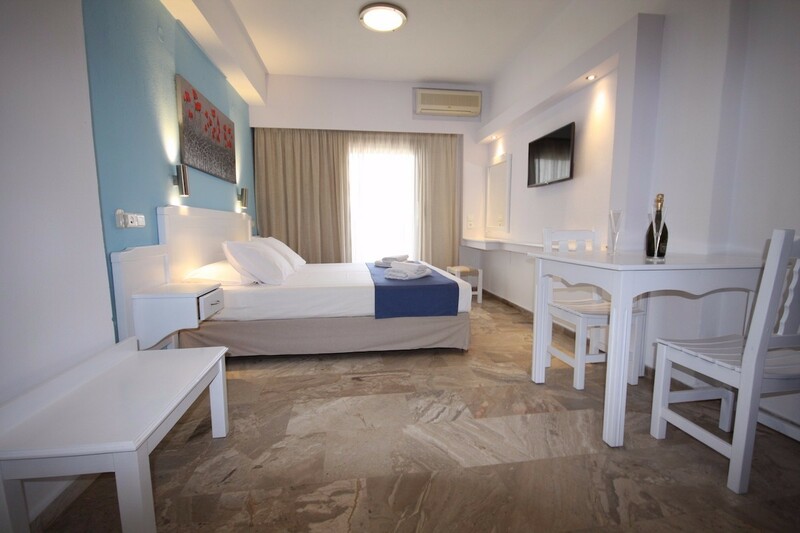 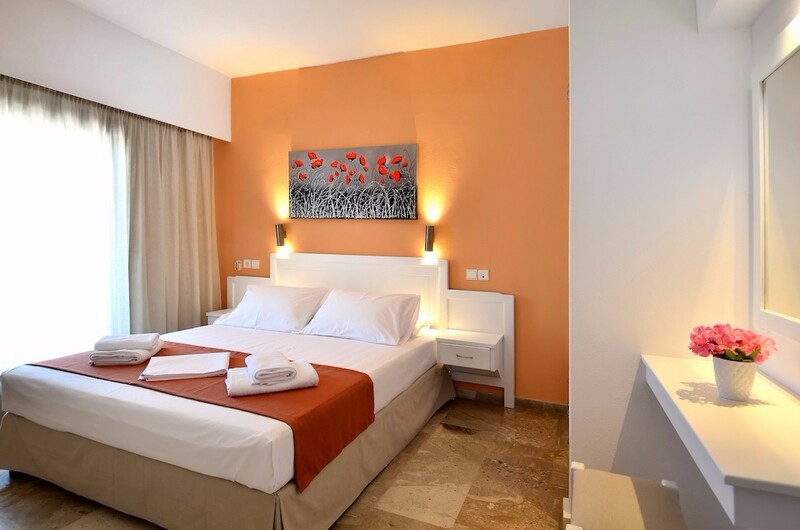 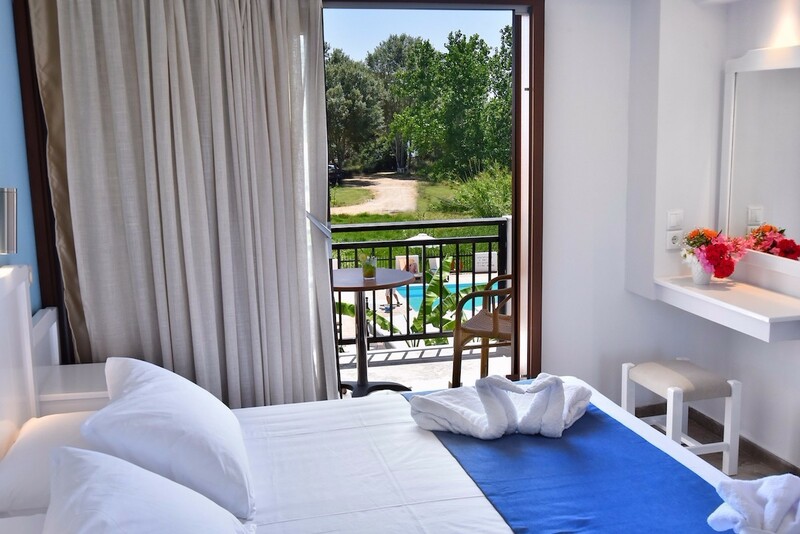 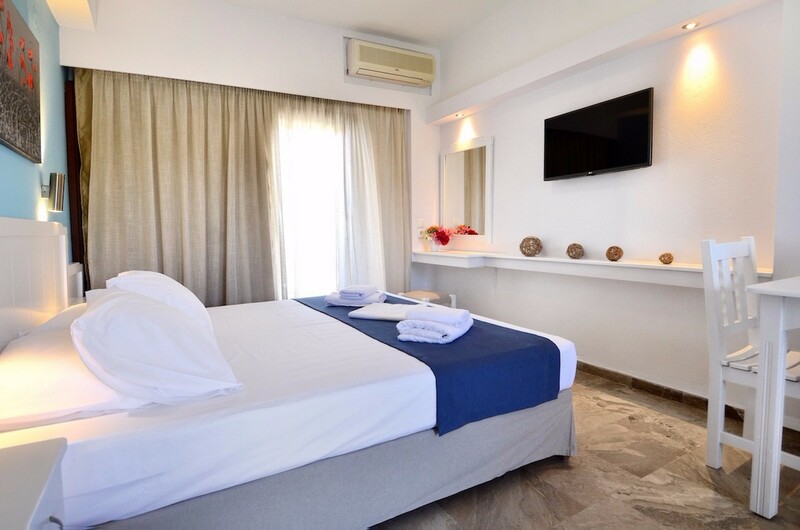 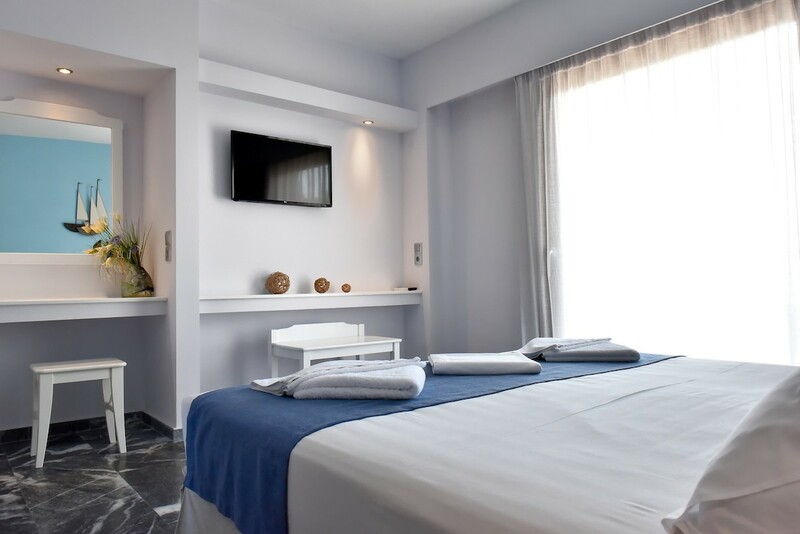 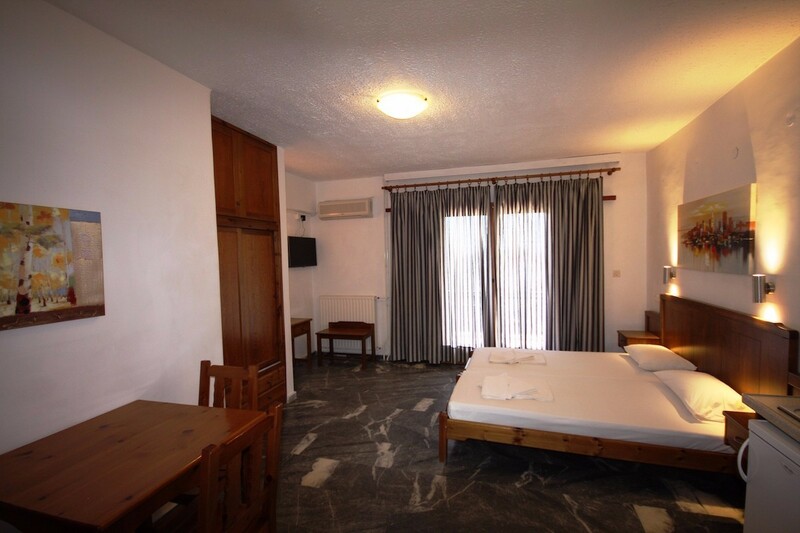 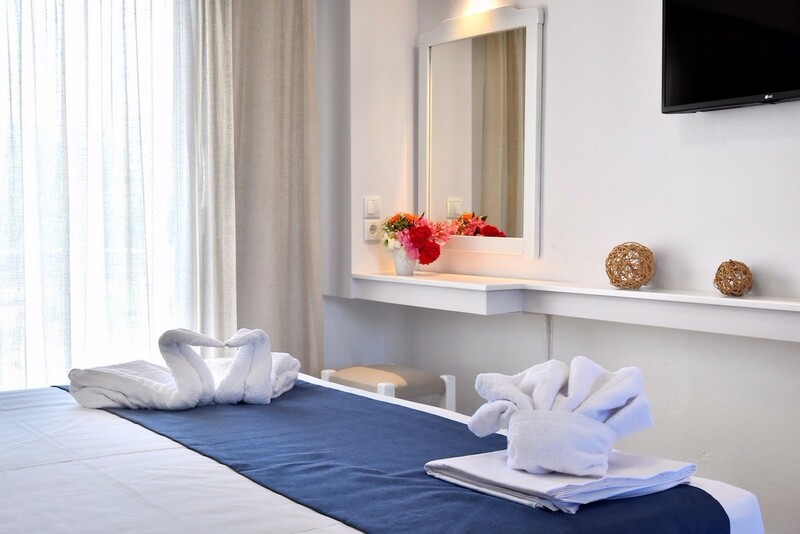 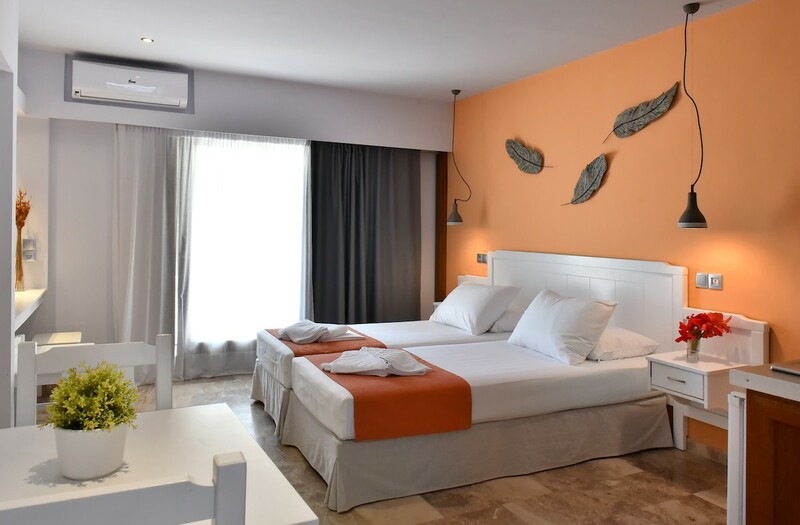 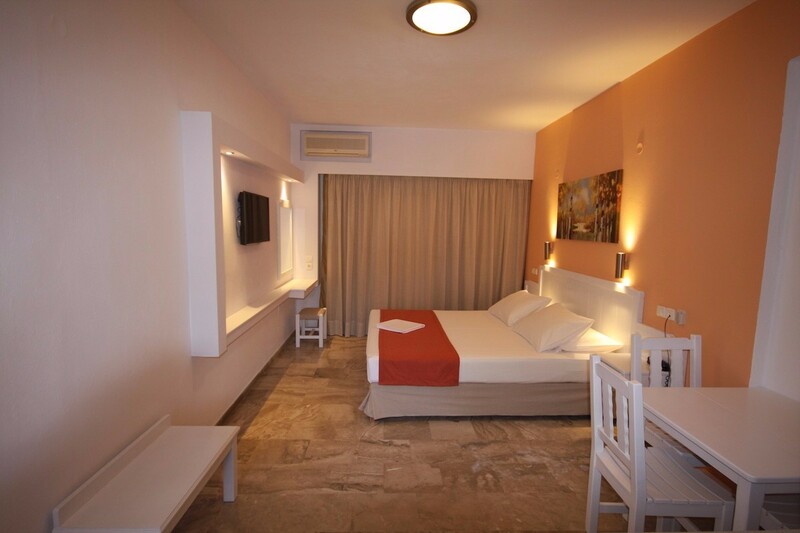 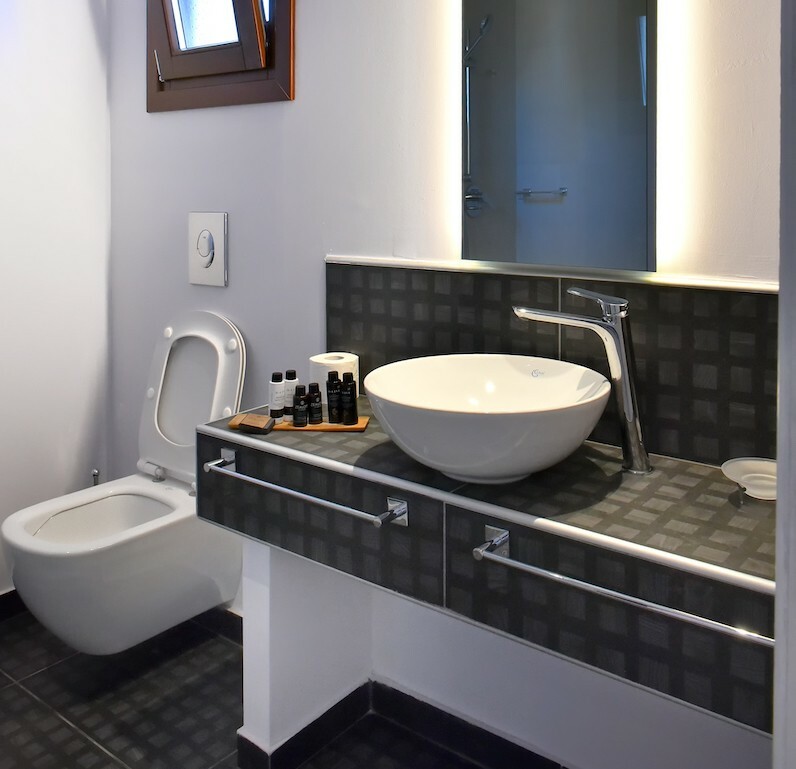 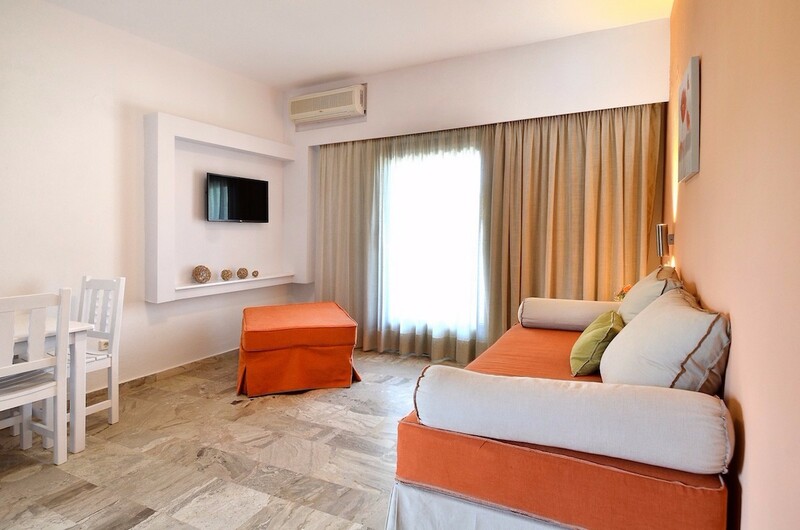 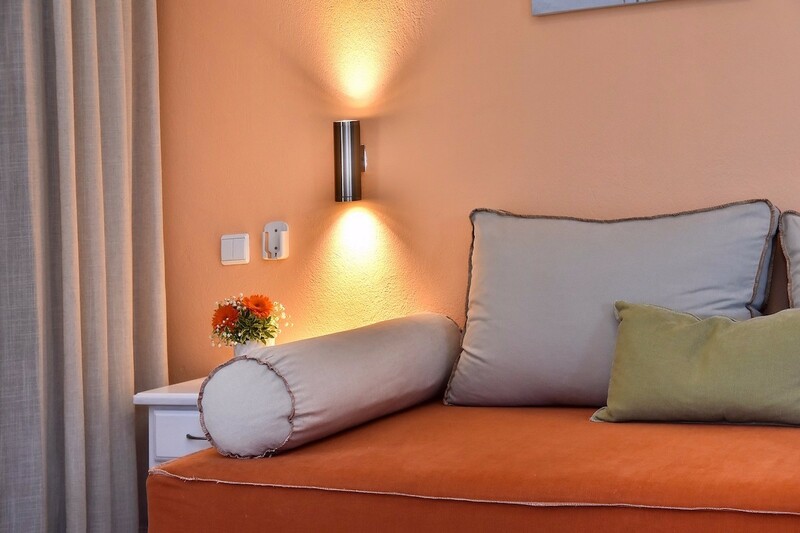 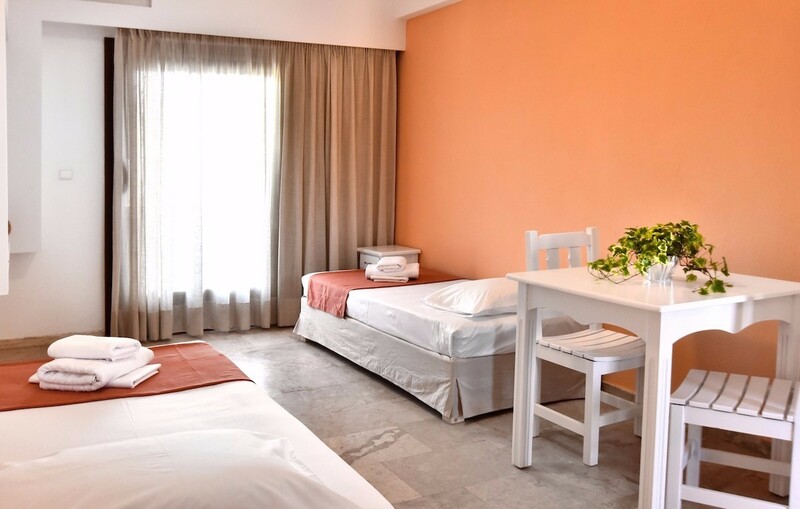 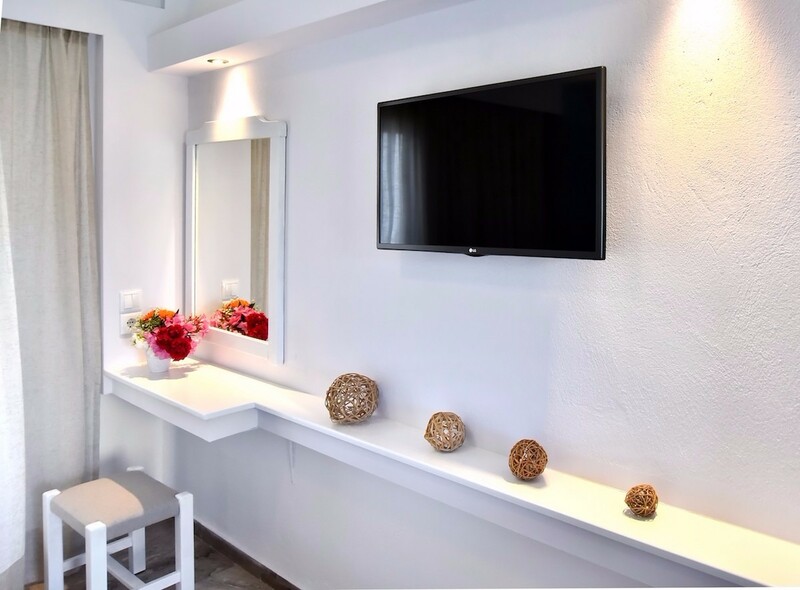 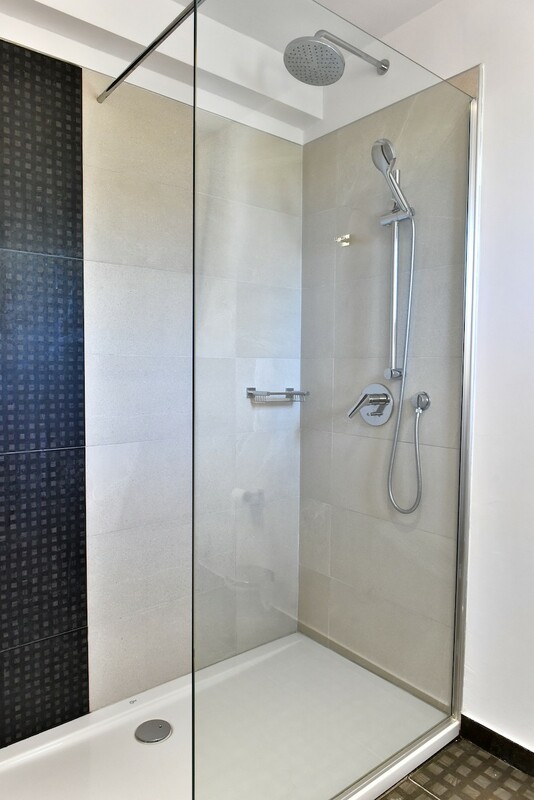 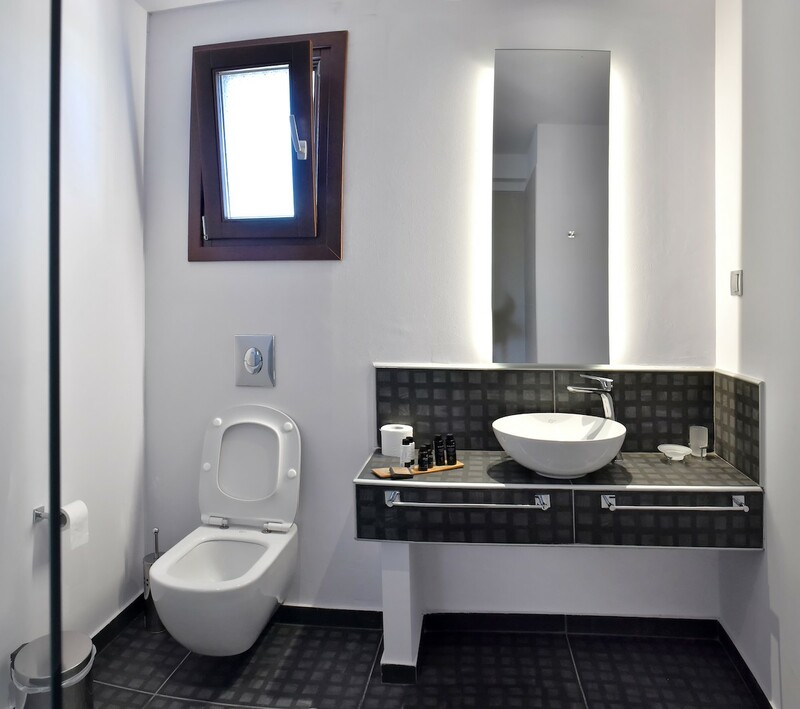 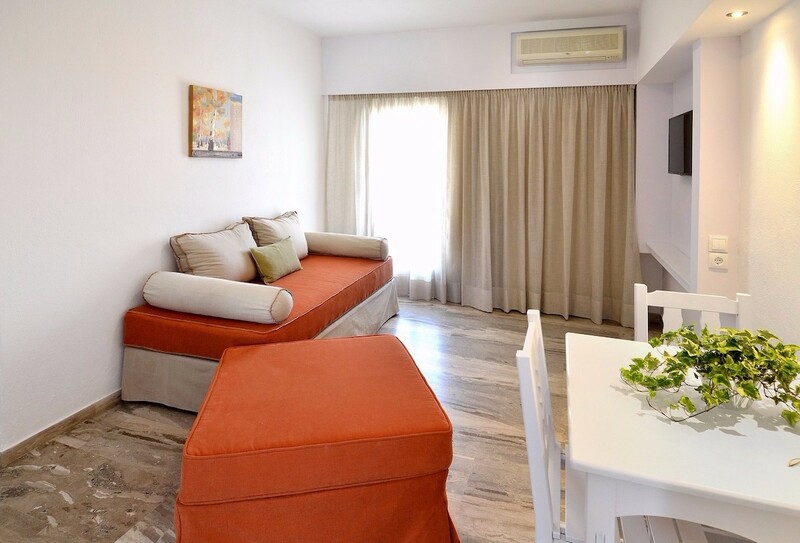 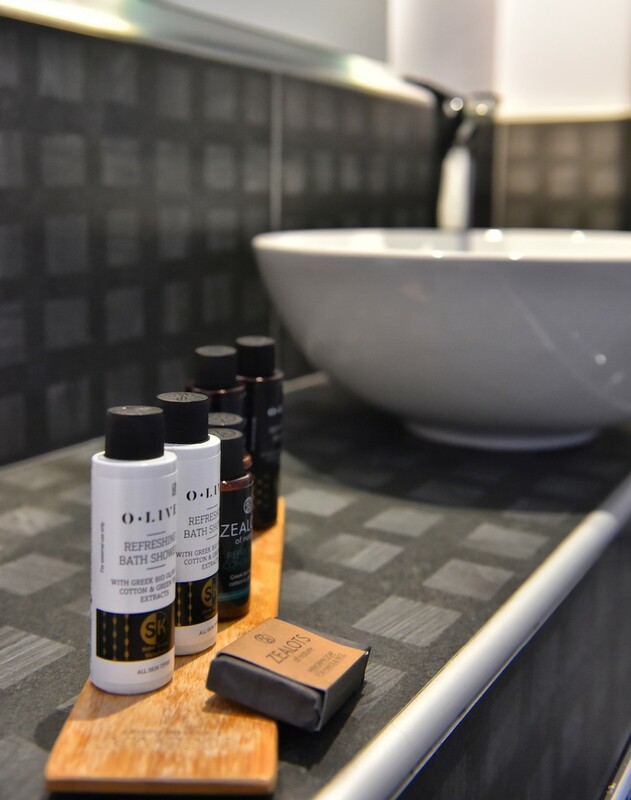 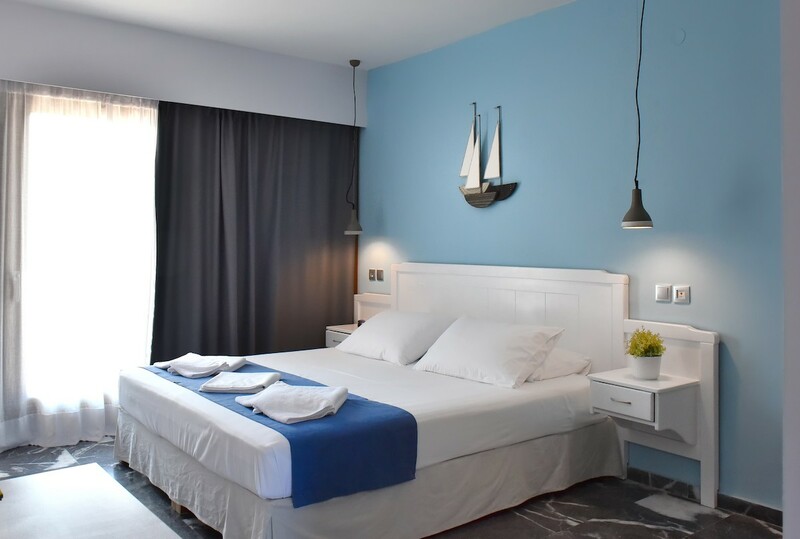 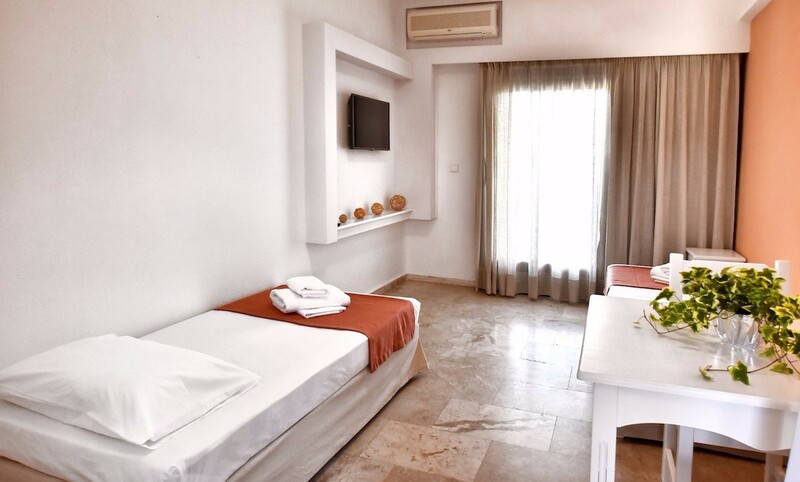 The Superior studio(25 m2) for people with disabilities is located on the ground floor of the hotel and was completely renovated in 2018. 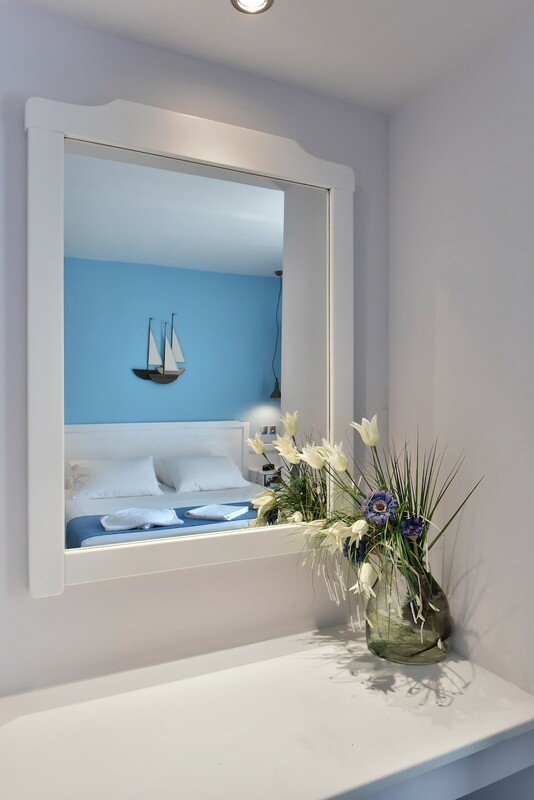 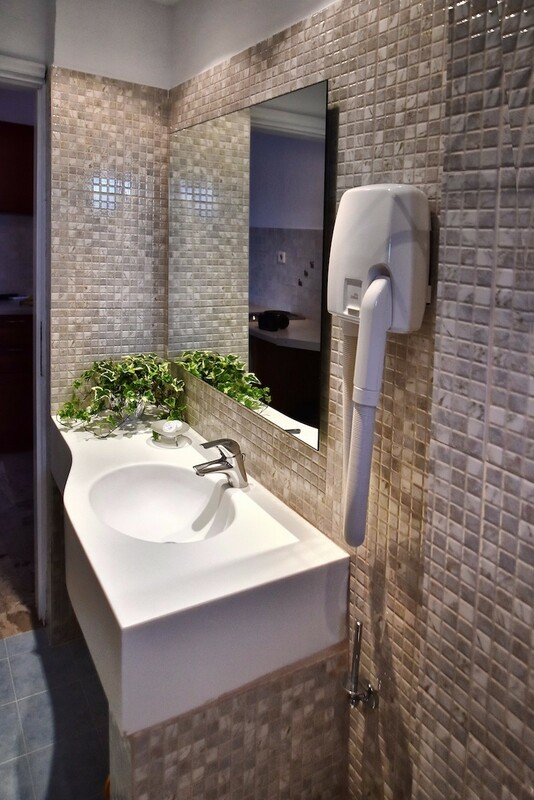 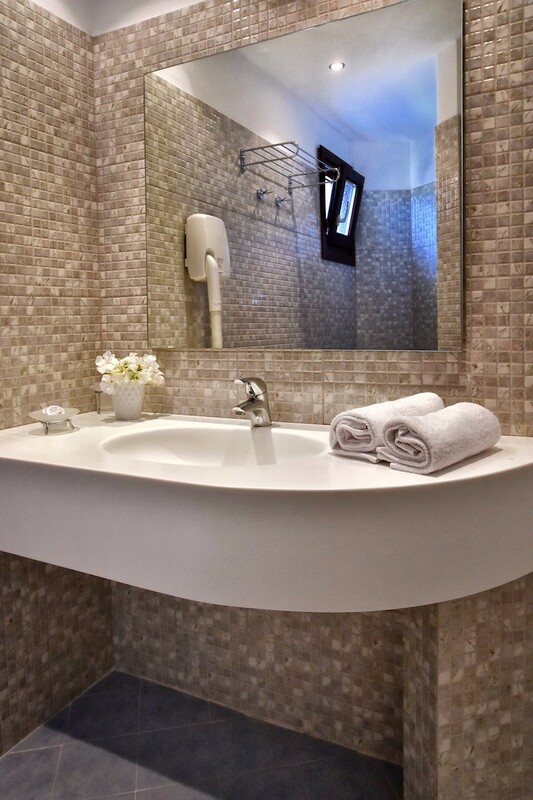 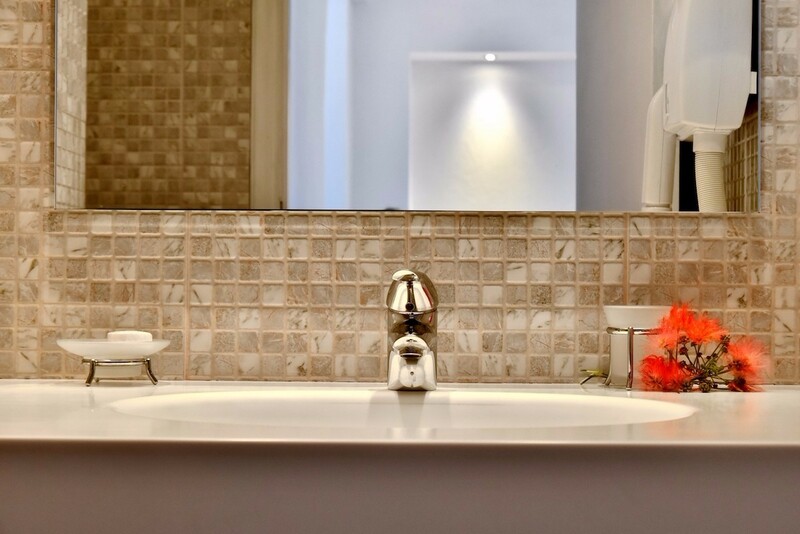 The design and soft colors create a fresh and modern touch. 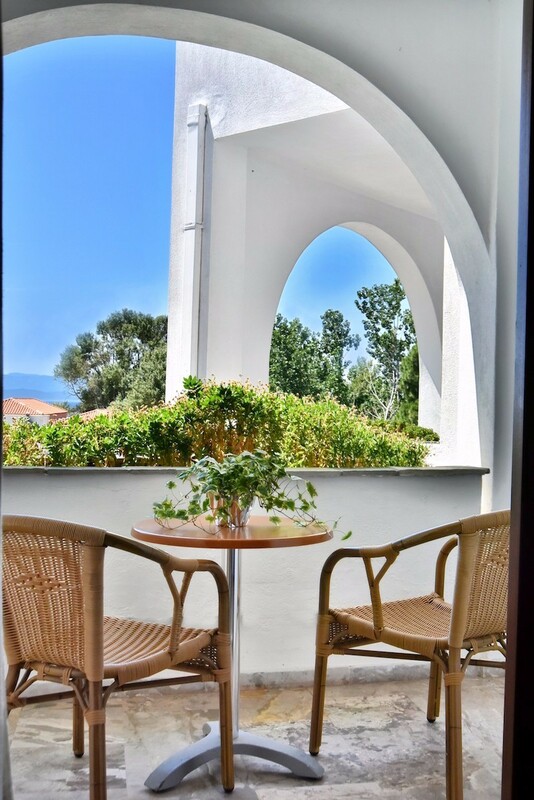 From its veranda is overlooking the garden and the pool. 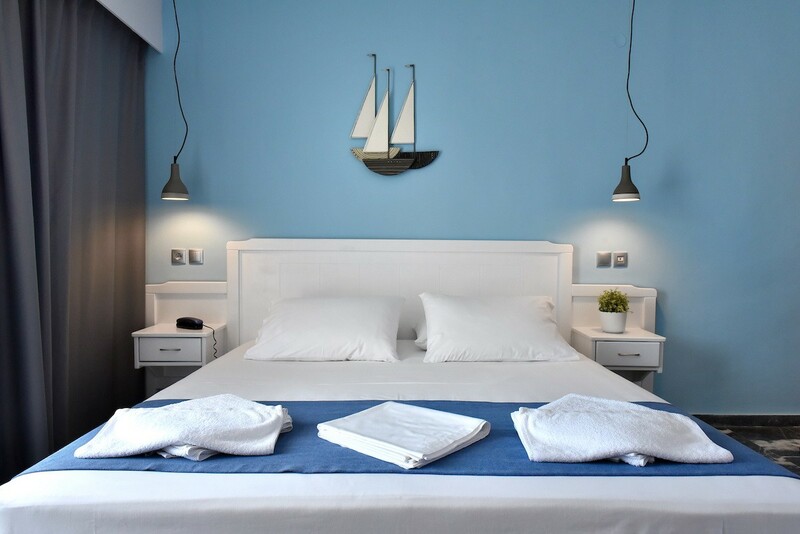 It can accommodate 2 people in two single beds that can transform to a double King size (180 * 200) bed with the addition of an awning if you wish. 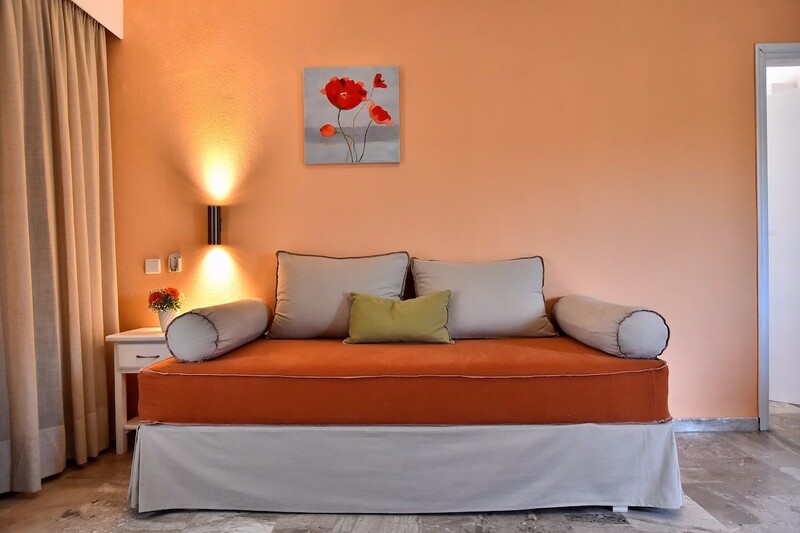 The anatomic layers of coco-mat, as well as a choice of pillows (soft - hard) of the same company, provide a great nights sleep.